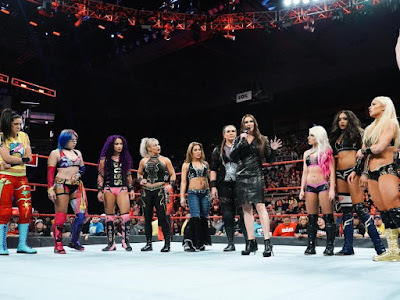 I realize I'm a few days late with this, but I did want to weigh in on the announcement from Monday night with the all-women Royal Rumble match coming up next month. As mentioned in this week's Pro Wrestling Unscripted podcast it's a great move by WWE. But the execution of the announcement was nonsensical. A brawl involving several of the women on the Raw roster was interrupted by Stephanie McMahon. She announced the history-making match and the ladies all seemed to be overcome with the news and stopped their fighting. In fact, they all celebrated in the ring. We've talked about an all-female Rumble before. Earlier this year, listener Devin Dinkins posed the question on an Ask My 1-2-3 Cents podcast. It's a great move by the company, which has done women matches in the Hell in a Cell and Money in the Bank. The Royal Rumble only makes sense. I'm not going to speculate yet on a winner until all the competitors are announced. Early favorites have already picked Ronda Rousey. I don't have a problem with that as I believe a match between her and Charlotte Flair at WrestleMania could actually be the main event. 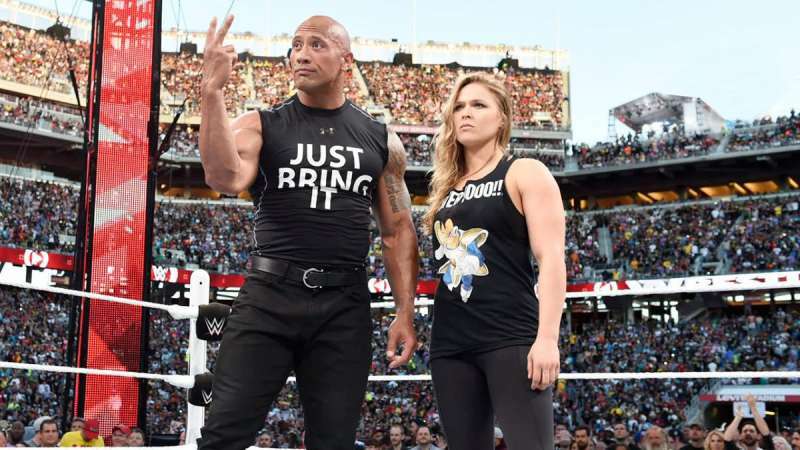 Main eventing WrestleMania will be the last major accomplishment for the women's division. There are plenty of talented women on the current roster, including NXT and from the Mae Young Classic. There's also a lot of Legends and indy stars who could and should be included in the Royal Rumble. Something else to note, I'm a believer that champions should be in the Rumble match too. In my 1-2-3 cents, it's logical that the Universal or WWE Champion or in this case the Raw or SmackDown Live Womens' champions to want a shot at their counterpart for the gold. I know for the time being WWE will not unify any championships and the champ in the Rumble wouldn't have to win. I'm just speaking from a logic standpoint. 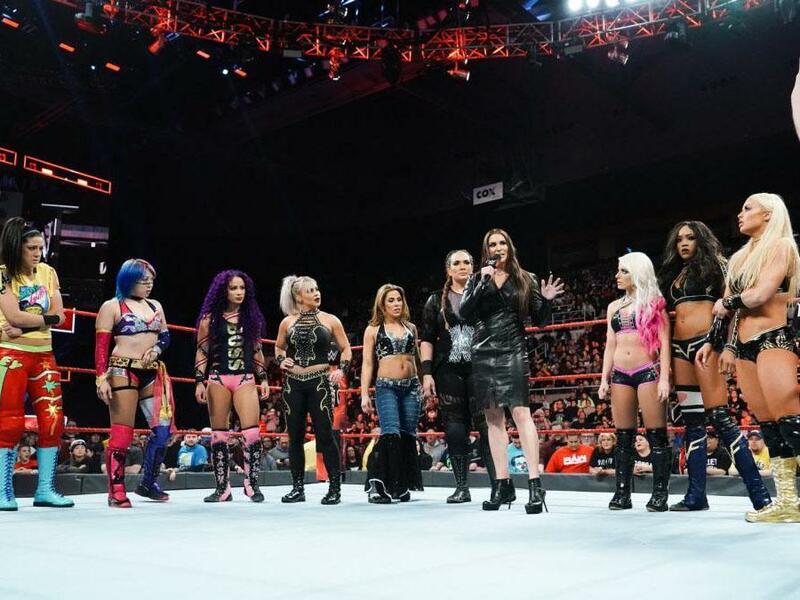 Who do you think will enter and win the first Women's Royal Rumble match? We'll discuss more on the podcast and here on the blog in the coming weeks.